The transport of the future is getting into retail. Update: Hyperloop One’s Head of Global Communications, Marcy Simon, reached out to Futurism to clarify the nature of the conversation. Simon asserts that Nick Earle was speaking theoretically during the presentation and that, at this time, there is no official partnership between Amazon and Hyperloop One. She also notes that Hyperloop One will be publishing a white paper soon that will include information on their Amazon research, portions of which address how Amazon could reduce their warehouses from 119 to 18 in the US and increase the same delivery from 66% of US population to 80% through Hyperloop use. The original article follows below. Early details are trickling in about a partnership between Hyperloop One and Amazon to bring same-day delivery to a significant portion of the United States. A tweet sent out early this morning by quarterly tech journal Port Technology shows Nick Earle, Senior Vice President of Global Field Operations at Hyperloop One, leading a talk at the journal’s Container Terminal Automation Conference being held in London. The accompanying photograph shows the exec standing in front of a graphic presumably showing the regions the partnership will service. The graphic also lists some points related to cost savings. Neither Amazon nor Hyperloop One have made any official announcements yet. Hyperloop One is hoping to revolutionize land travel for both cargo and people. 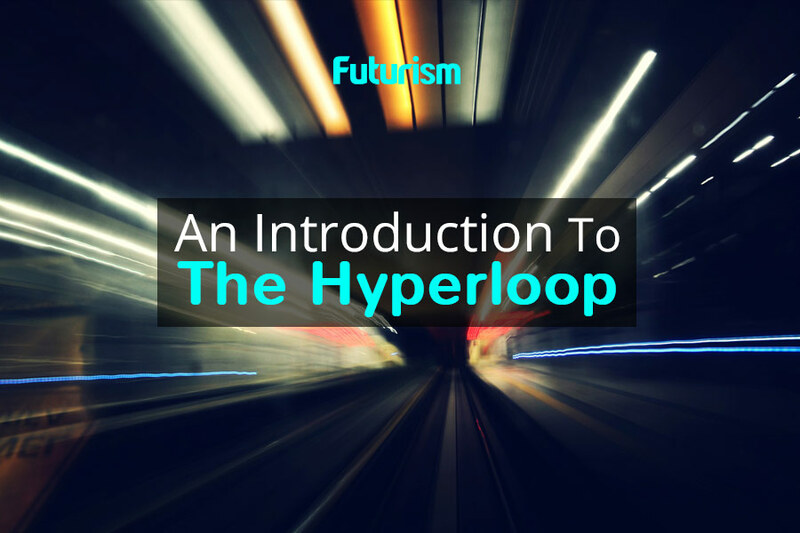 The company is busy building the infrastructure for its high-speed hyperloop system all around the world. Once completed, it will be able to move people and goods at extremely fast speeds of 1,000 kph (621 mph). A partnership between a major company like Amazon is a huge vote of confidence for Hyperloop One. Stay tuned.